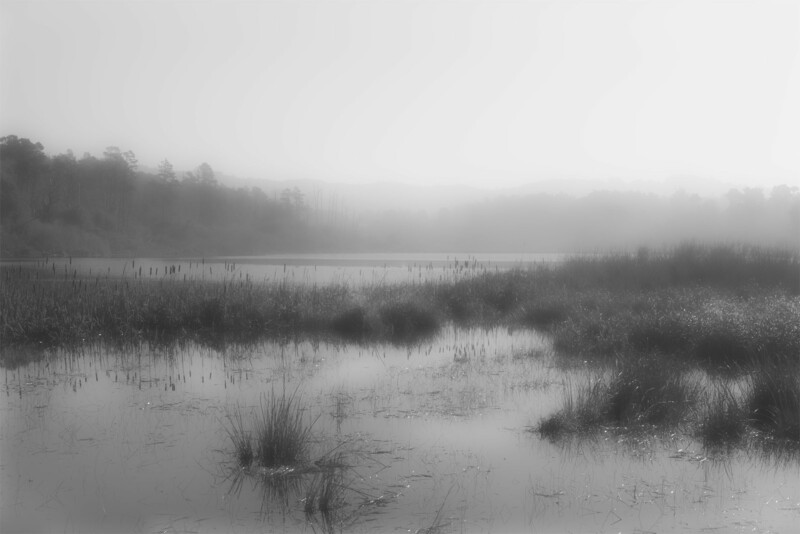 Although the sky was clear and blue above the morning mist hung heavy on this marsh just off the shores of the Pacific Ocean making for a quiet morning walk. Knowing that the sun would shine and the mist would clear was a nice addition to the day. Great shot! I love how soft it is. Lovely shot, Mike. Frame worthy! I enjoyed the scene and the sentiment.